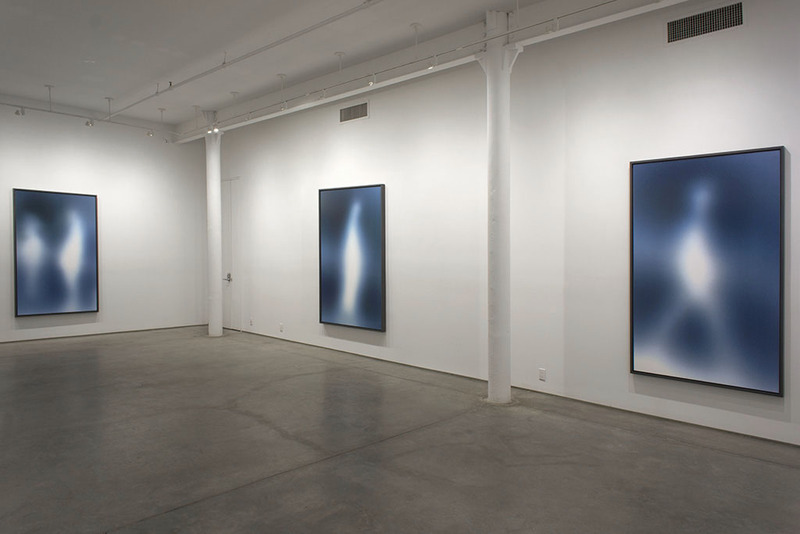 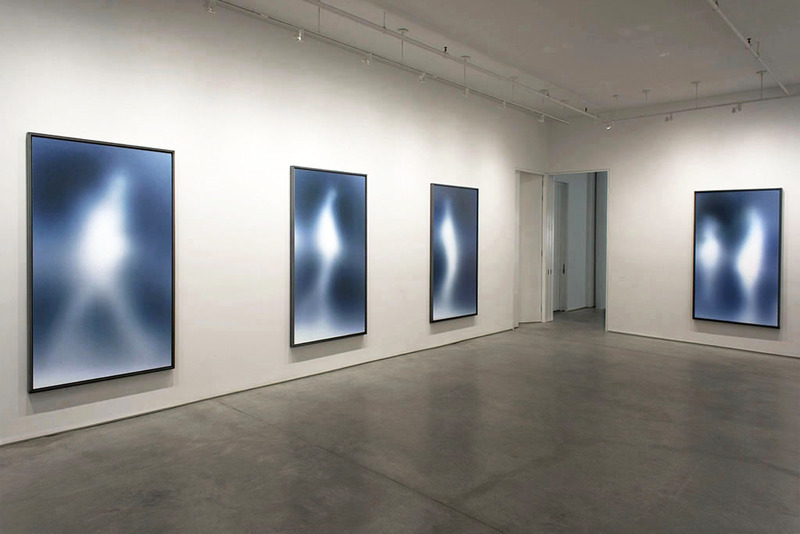 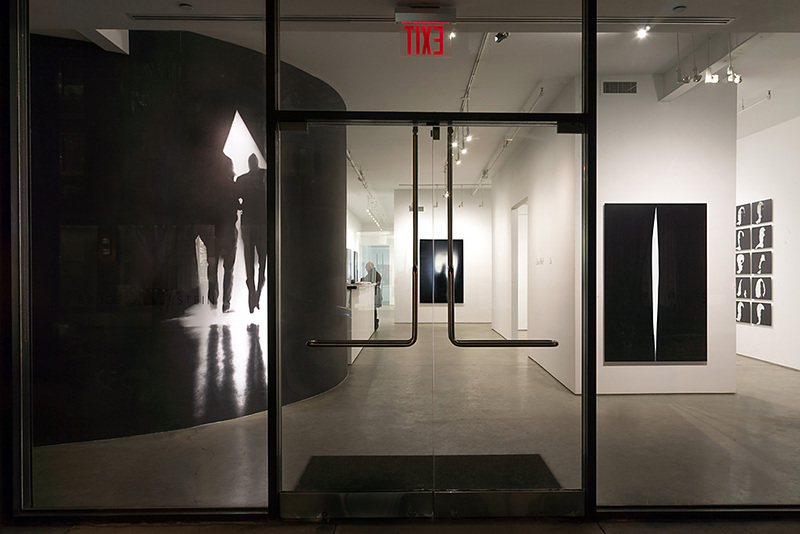 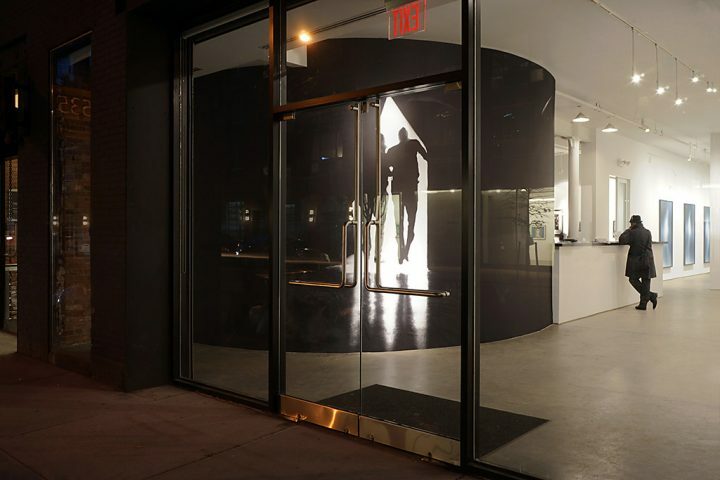 Bruce Silverstein Gallery is pleased to present Us, a site-specific installation by the artist Silvio Wolf. 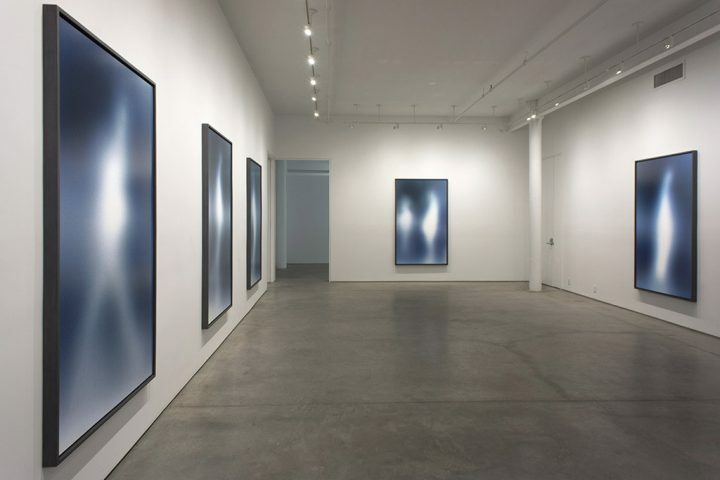 For the past twenty years, Wolf has explored the limits of photographic representation through an interest in the abstract, the fleeting, the visible and invisible, challenging the indexical nature of the photograph and questioning our notion ofself. 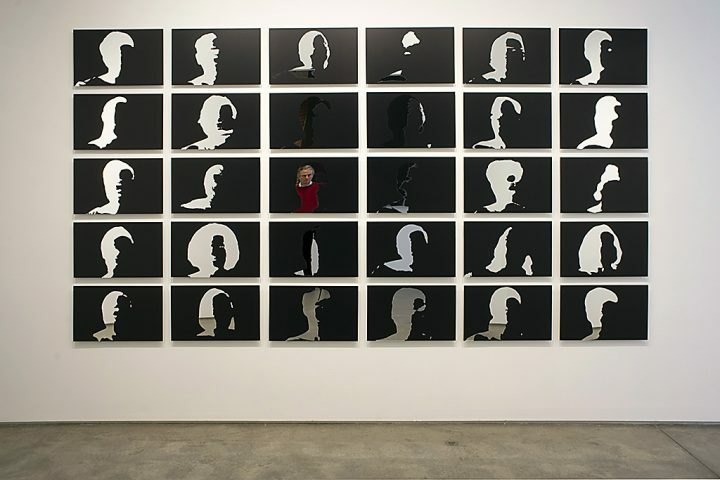 This installation, designed as a cohesive experience for the viewer, is comprised of the artist’s newest works—his first images to depict the human figure. 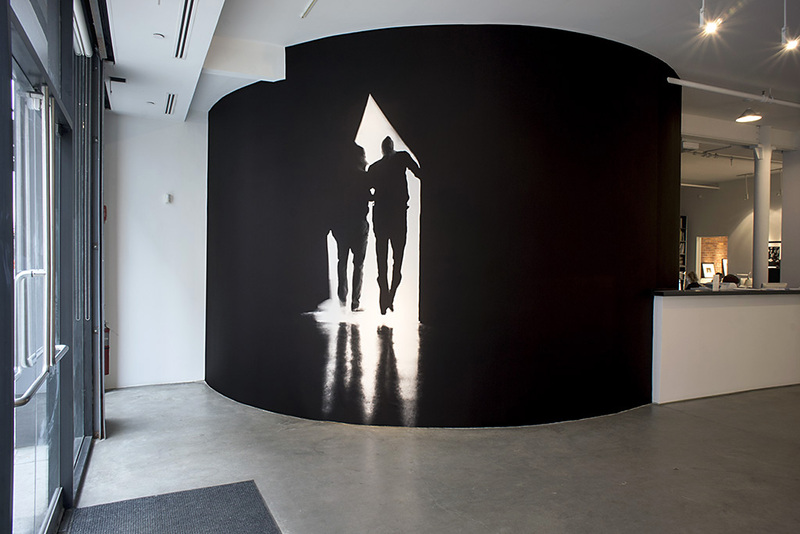 Signalling the entrance to a show for and about ‘us’, a photographic mural of two figures passing through a curtain covers the rounded wall defining the entrance to the gallery. 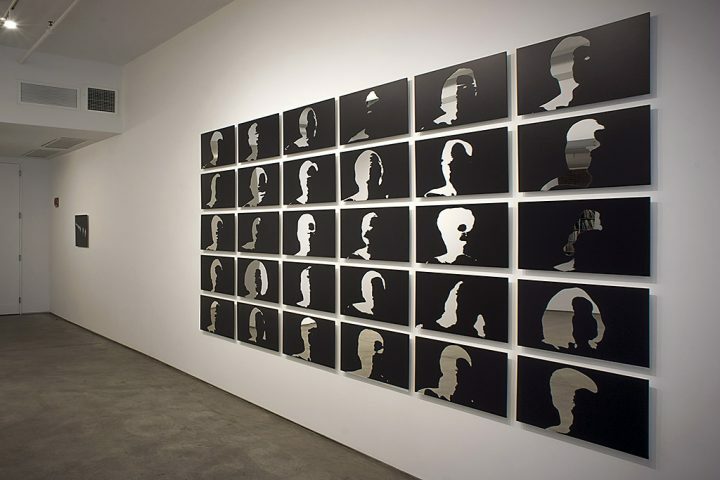 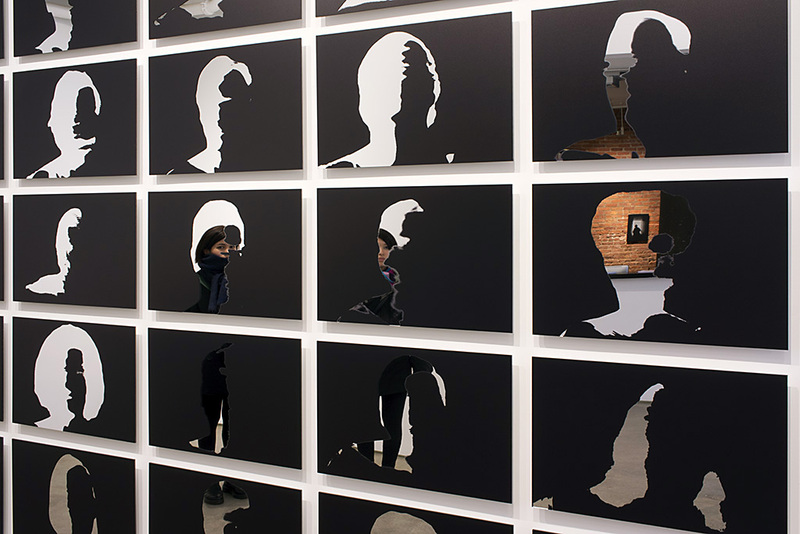 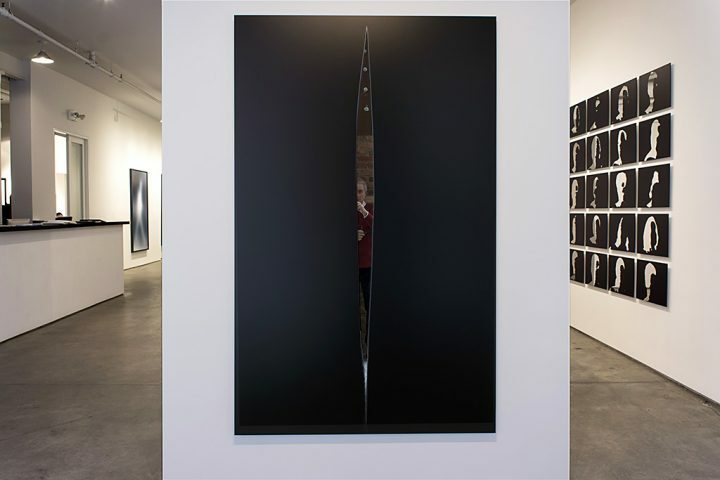 This piece guides the viewer toward a room of mirrored portraits reduced to positive and negative shapes, the viewer’s image reflecting onto a grid of unidentifiable faces. 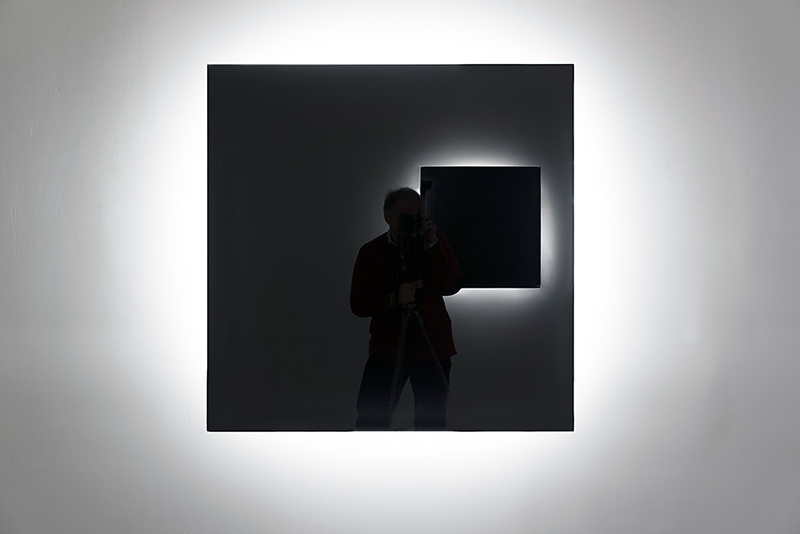 A final reflective portrait shows a shadowy, abstract self-portrait of the artist created by photographing himself reflected in another artwork. 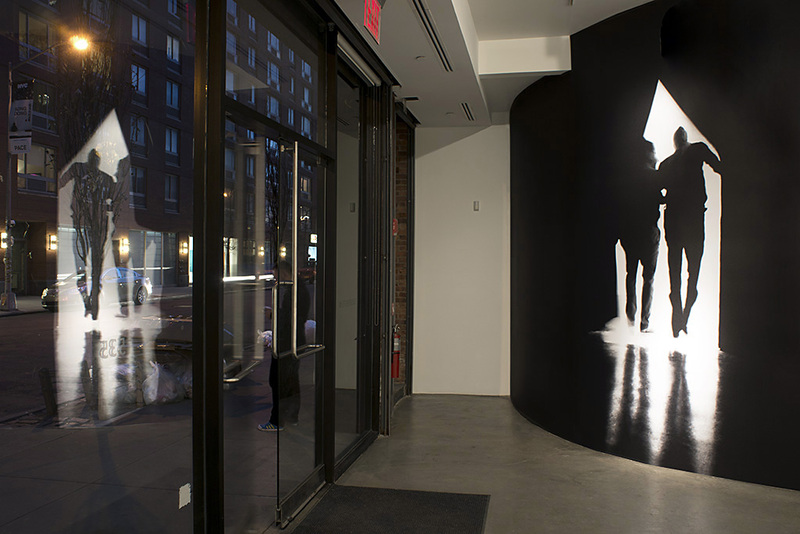 Wolf’s latest series, Us, displayed in the main gallery, consists of larger-than-life sized images of the silhouettes of gallery goers as viewed by the artist through the opaque frosted-glass windows of Chelsea galleries. These scroll-like images of elongated walkers take on an ephemeral yet iconic status at this scale, inverted shadows of what they depict. 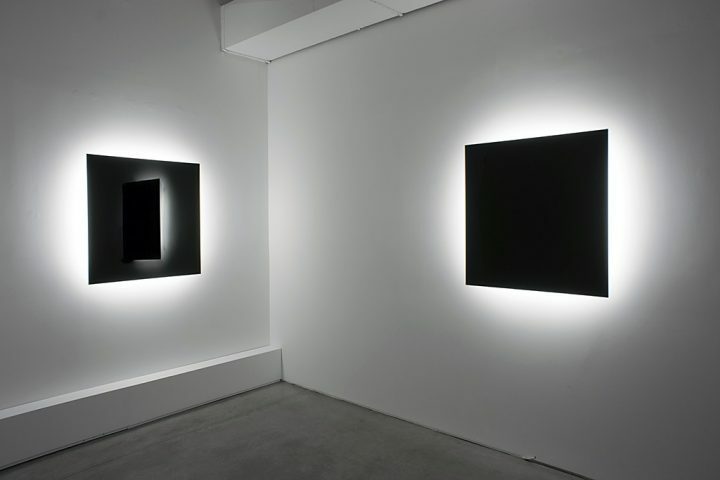 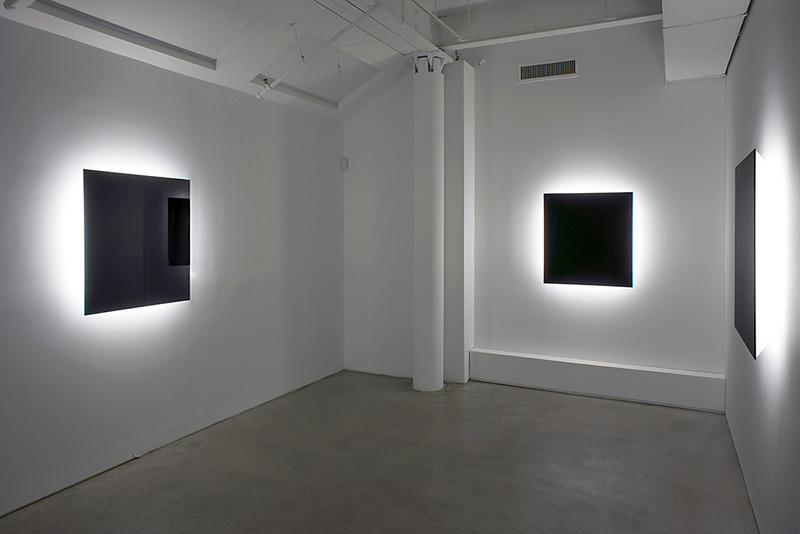 Lastly, the viewer encounters a darkened space illuminated by black, backlit chromogenic mirrors-photographs that have become black mirrors after layering an innumerable number of exposures. These works radiate a sound component: children’s voices reciting names—potentially the viewer’s own. It is the viewer’s presence, his/her reflection in the mirrored surfaces or absorption of the sound emitted that forms a crucial, ever-changing component of these images and drives Wolf’s interest in art making. 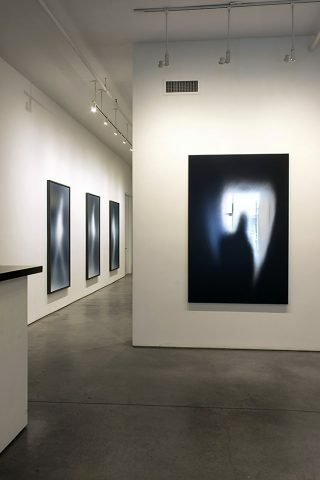 Wolf’s works are thresholds, spaces of presence and absence where light and information pass that are designed for us to interpret and incite with meaning.